Ever wondered why international car makers such as Ferrari, Aston Martin, Maserati, Koenigsegg jumped into the Indian car market? It’s in fact the potential in here. Let’s see what the four has to offer to the Indian audience. In the recent years there has been significant shift in the likings of the Indian car lovers and they seem to be more after the adrenaline pumping machines. The days almost seem to have gone when showing off a chauffeur driven car would do. Now, people really don’t turn around if there isn’t a Ferrari, Aston Martin, Maserati or Koenigsegg Agera. Another thing that may have invited these car majors to hit India is the bulging upped middle class that was fed up of hatchback and sedans way back and is on the track to taste something new of a Ferrari kind. Still, for the larger population in India, the hatchbacks, sedan, SUV’s or the coupe will do and they will perhaps for long would only awe while spotting a Ferrari or an Aston Martin and would wonder which brand it is. Among others, Ferrari, more popularly the Prancing Horse or the Ravi Shastri’s car for the elder ones has already spotted New Delhi for its first dealership and will soon be expanding to Mumbai and other metros hopefully. Once the dealership goes live, Ferrari will offer its entire range to the Indian customers including Ferrari California, Ferrari 458 Italia, Ferrari 599 GTB and the latest four-wheel drive Ferrari FF. Maserati, currently owned by the Fiat Group since 1993, is a manufacturer of racing and luxury cars. Maserati has recently launched the Maserati Quattroporte in India. This Rs1.2 crore car is a two-door GranTurismo. Maserati also plans to open seven new showrooms by 2015. Next, the Swedish auto maker Koenigsegg is little known and almost unheard in India but it makes almost ‘super cars’. 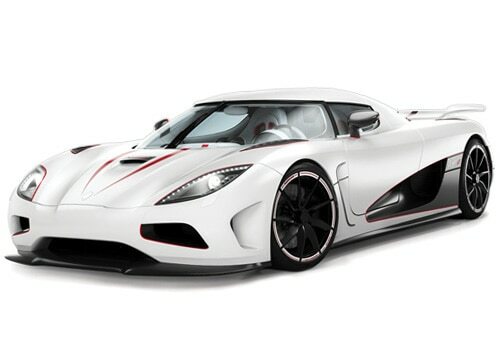 Koenigsegg presence in India is restricted to 5.0-litre V8 engine Koenigsegg Agera as of now. The Rs12.5 crore priced powerful car pumps out mammoth 940hp and uses 95 octane fuel. And last but not the least, Aston Martin or more popularly the James Bond car is also available in India. Aston Martin V8 Vantage Coupe, Aston Martin DB9, Aston Martin DBS, Aston Martin Rapide and Aston Martin One 77 are the current offerings in India.